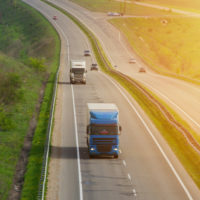 When a truck rear-ended a van in May 2018, it resulted in several serious injuries and one fatality. The van’s driver lost control of the vehicle and went hurtling across the median, ejecting a number of passengers. Five individuals were airlifted to a nearby hospital. When lives are lost, or seriously impacted due to a motor vehicle accident, what recourse do victims have? A local personal injury attorney can answer this, and other questions related to an accident. More than 100 bicycle fatalities. The highest number of accidents occurred between Champions Gate and SeaWorld. The road with the most fatalities in the country also belongs to Florida: Highway 1. That roadway alone has been the site for over 1,000 fatal accidents in the last ten years. Highway 41 ranks second in the nation for fatalities, with over 700 deadly crashes. And Florida has the third most deadly highway, as well: US 27, where more than 500 fatal accidents occurred. Other Florida roadways known to have multiple fatalities include U.S. 441, U.S. 17, and U.S. 98. At the Law Offices of Robert W. Elton, we encourage drivers to remain alert, avoid distractions, and take basic safety measures like wearing seat belts in order to ensure a safe trip. In the event you are a victim of another driver’s recklessness or negligence, you may be entitled to reparations to address costs associated with property damage, injury, death, lost wages, and more. Contact our Ormond Beach or Daytona Beach office to schedule your free consultation today. Our experienced legal team is anxious to address the issues particular to your case, and will stridently pursue justice on your behalf.